MOSCOW, November 6. /TASS/. 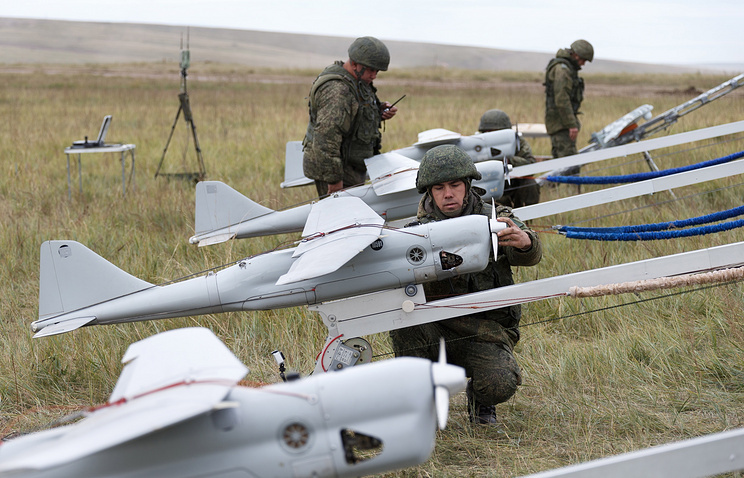 Radio-electronic warfare systems installed on drones being provided for the Russian armed forces are capable of jamming the enemy’s communication systems within a range of 100 kilometers. Over the past six years the range of electronic jamming means has been increased 3.5 times, the Russian Defense Ministry’s daily Krasnaya Zvezda said on Tuesday. 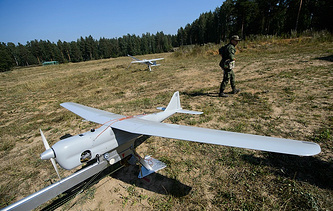 «Over the past six years there has been created a balanced system of radio-electronic warfare forces incorporating the ground, airborne and naval components… For instance, the radio-electronic warfare means equipped with the weapons control system Krasukha are capable of providing reliable protection for troops and military and civilian infrastructures from the homing systems of smart weapons, and the radio-electronic warfare systems on drones, of totally upsetting radio communication within a range of up to 100 kilometers,» Krasnaya Zvezda says. This kind of approach allows for retaining control of the Russian forces and weapons and at the same time upsetting the enemy’s control of its military units. On the whole, the newest samples of radio-electronic warfare means, including airborne ones, are capable of effectively resisting aerospace and navigation systems and digital radio communication, the paper writes. Bekjennelsen til den polske legen berørte Internett-brukere. Han viste gravstenen til slektningene.